She looked at him; he was lying on his bed, snoring loudly. His mouth was open wide, bare gums were visible. He looked like a small baby. His false teeth and specs were waiting for him on the bedside table. The night lamp was creating a blue circle on his sleeping face. The curtain on the window was softly stirring in the light breeze. She sat up and opened her hand bag. After fumbling for a while she brought out a small box in her shaky hands. It was a old ivory made box, she pushed a small button after quite a few futile attempts; the box sprang open. A thick fume came out of the box and filled up the room. “What’s going on dear?” Jay asked from his bed. The smoke vanished before she could answer and a strange creature was standing in the middle of the room. He was barely four feet tall but his face was old, shriveled and white hair and beard hung low down to his knees. “Thanks for liberating me creatures.” He said with a smile. Rita noted that he too had too little number of teeth in his mouth. “I want to live again.” Jay blurted out. “I want to die in peace.” Rita said. She looked at her husband’s bed but could not see him. “What did you do to him?” she asked in panic. “He is right there. Sleeping.” The creature said. She got up on her wobbly knees and made her way to his bed. A small infant was sleeping on the bed. She gulped hard and then uttered her third wish, “Take care of him when I am dead.” The creature nodded and vanished. Rita thought that she noted a naughty twinkle in his eyes. Some reviews on my Amazon books! The document with links for the reviews, in case you want to dig in further! A collection of sixty-nine poems, with such themes as love, beauty, and fantastic wonder, I found this book an excellent read on a cold winter’s night when the skies are clear, with the stars alight so very far away. In this, the same celebration seen through two different perspectives, I found the poetry quite pleasing to the mind’s ear. The Bengali text is wonderful for my practice in reading the script, as well as a good resource for practicing translating between it and English! As a big fan of things Indian, this collection of stories is not only informative in its depiction of Bengali worship celebrations, but I found the illustrations throughout with a charm evoking mystery and wonder! I found this book to be interesting to read. The stories are very short and entertaining but I feel they don’t end properly as some feel like cliff hangers. I don’t know if that was the writers intention to do. On the flip side it does give a reader thoughts to ponder on what happen next. So I do have to say this book does make a reader think and captures a persons attention. I thoroughly enjoyed this one, with the lyrical feel of its verse, and the accompanying digital paintings that enhance it. Most excellent! This one evokes thoughts like a those of a mind lost between misty puffs of down in the sky, reaching for, but always out of grasp, of answers to the very deepest of questions. Well done! A collection of poetic verse and digital painting, this book was well worth an evening’s read. Congratulations to the authoress to work done well! 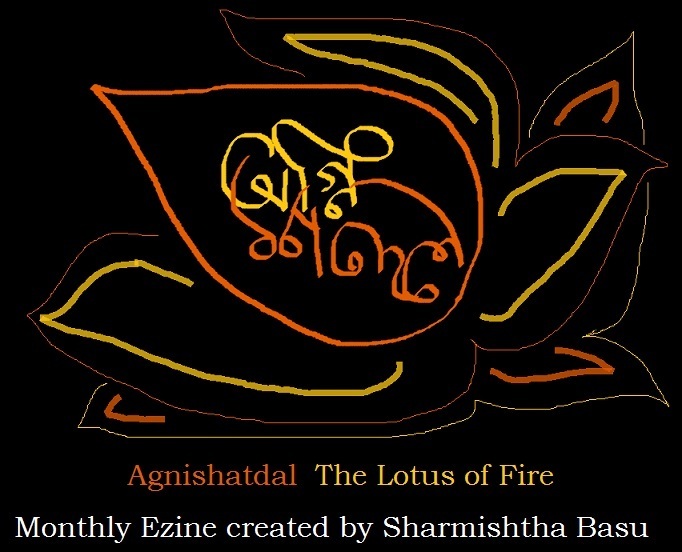 As a collection of poems both Bengali and English by the authoress and her own art, this made my thoughts soar to realms afar, captured perfectly in graceful script and color! This collection of verse got me thinking about those little questions of life that seem so difficult to articulate in words, yet whose answers can be deceptively simple once properly considered. They are butterflies of thought, flitting about the mind’s eye and avoiding one’s direct gaze until viewed out of the corners, as it were, of that same mind’s eye. Great stuff! As a collection of poems, this one was a pleasure to read through, while taking in the authoress’s evocative imagery, which supplemented the text wonderfully! This is a brilliant collection, with lively and enchanting images that add a great deal of color and feel to the text. This is a wonderful collection of seven line poems, and made an excellent late night first reading. This does not disappoint! I love that, not only is this a book of poetry and evocative imagery, but also that it’s written in two languages, including one I’m learning while still a novice. I must thank the authoress for this wonderful learning opportunity, and a fitting tribute to the great Bengali polymath himself! 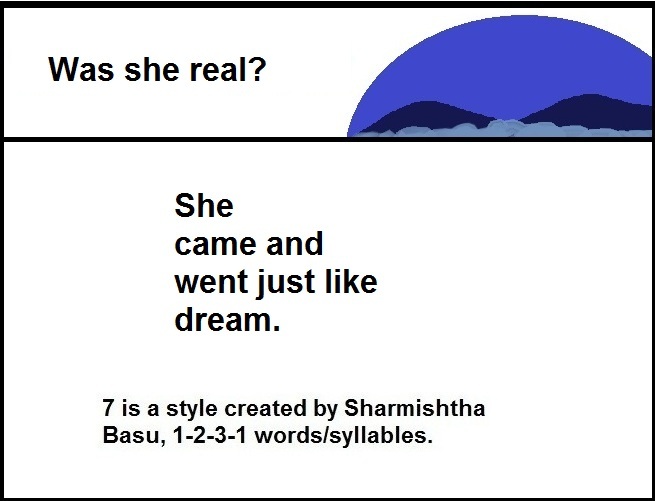 Sharmishtha’s stories are captivating. Her characters although purely original bring some of India’s mythological creatures to light with a style of writing that can only be attributed to that of a true mistress of story-telling. Nothing is what it seems as each incredible tale keeps you wondering what is going to happen next with endings that are in no way predictable. A thoroughly enjoyable read! This is an excellent collection of short fiction with cool Indian themes. I’ve always enjoyed Ms. Basu’s paranormal fiction, and this is no exception! My favorites from this are the collection’s titular story, a chilling piece titled Scarecrow, and The Woman in White, of strange goings on in a nightspot. Three thumbs up! This is a great story of senseless malevolence and the petty cruelty that people can inflict on each other. It’s an interesting look into the culture of family relationships and business dealings where everyone is out to get you. A collection of 70 poems, this is an insightful work by Ms. Basu. If I must choose favorites among these, they would be her verses ‘Heaven or Hell’ and ‘Change your ways India.’ Good stuff to warm a Winter’s night! Ms. Basu has in this book, a compelling portrayal of supernatural beings both benign and malignant. Here, she shows her skill in writing tales on the paranormal beings of India and the mortal characters who interact with these creatures as well. Very enjoyable! This is a great little book with great poems and wonderful illustrations. What a treat to have this at such a great price! This book of poetry and illustrations is lovingly crafted, and the contents are imbued with it. Kudos to the valiant spirit of this author/illustrator for getting her work out there and learning about indie publishing. This is a terrific compilation of micro-fiction, featuring a wonderful mixture of genres and skillfully done as well. This is one of Ms. Basu’s works that showcases her considerable talent as an authoress! This is a wondrous collection of seven-line poems! Ever since reading Ms. Basu’s many blogs over the last few years, she has shown herself to be a woman of astounding energy and vibrant imagination, and it shows in her considerable ability as a published authoress, and this work is no exception! Perfect for Halloween reading! I love the way the author has with so many different genres of dark fiction! I must say, these are good! Lovely texts and art. Great work! This is a wonderful collection of musings, and a wonderful collection of insights into Indian culture, life, belief, and love. It would be interesting to see it also in Bengali language and script to practice translations on in study. Just beautiful! The ocean could hear his mournful sigh, carried to him by wind. “Why me God!” he softly sobbed as calmer winds softly played with his limbs. It was full moon that night, the bridge from moon to earth was formed, fairies came down to earth, they scattered all around. None came to him, ever. Why will they? The powerful gusts ripped off the leaves at bud, forget about fruits and flowers. They have tried to decorate him in the first few years but now they have given up. Someone walked his way this night, she was not a fairy; she was made of pure light, a soothing calm light. “Tell me, what’s in your heart my dear? What’s tormenting you?” she sat down underneath him, her soft light made him glow like a magic tree. No bird built their nests on his branches; they knew the violent winds will rip them away. 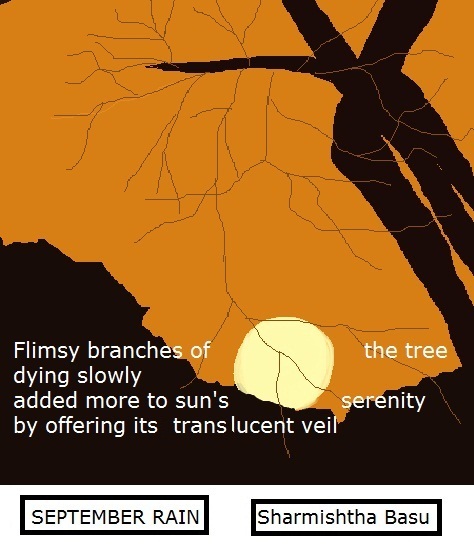 But they sat down on his branches to recover their breath, to ease their tiredness and talked with him. They told him stories of the inland, where thousands of trees lived together, full of leaves, flowers, fruits; they gave home to the birds and other creatures. The tree fell silent. A sweet light started to glow inside him. The angel returned to moon after giving him a loving embrace. A young man with dreamy eyes submitted his canvas to his gallery- a lonely tree without a single leaf, right on the shore of an ocean, titled “courage”. She stared at the crib. A thin ray of moonlight was playing on it; right now it looked like the pale finger of some unseen monster reaching out to its own kind. 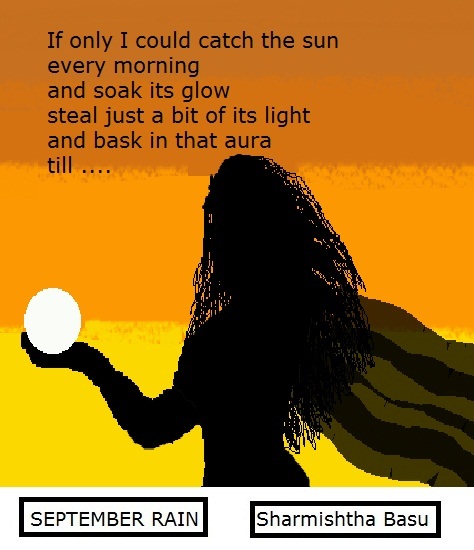 She shuddered as a chill ran down her spine. “Don’t be a jerk! It must be the effect of the drugs and lack of sleep. You must have been half asleep and half drugged!” she scolded herself. The occupant of the crib, her new born son was absolutely silent, like he was supposed to be. He was only a week old; he was not supposed to recite poems right now, was he? Well, that’s what he was doing, or at least she thought she heard him doing. That’s what snapped her out of her sleep, the strange sound in room. She heard it as her senses struggled to come out of the haze created by tiredness and drugs. It was not the voice of a baby, it was an ominous voice, it sounded cruel, cold and centuries old- hollow. It was babbling something in an unknown language. But that was talking, not senseless cooing of a small baby. She could feel the sentences forming and the punctuations used. She sat up on her bed, trying to grasp what was going on. “Monalisa will take care of both of you in the meantime.” The young nurse has smiled at her softly. The thing in the crib turned towards her like an adult being, it was not her son! Its face was white as chalk; two red eyes were glowing like embers in that drawn face; it snarled baring razor sharp fangs. She jumped backward in reflex and crumpled on the floor. She lied there huddled in the cold floor too weak and scared to get up. Then she felt a touch on her body. “What happened? Why are you out of bed didi?” Monalisa held her arms to softly pull her back to her feet and then lead her to bed; her tone was full of compassion and worry. She expertly laid her down on the bed and pulled the blanket to her neck. “I was in the toilet. You both were sleeping peacefully when I went in…” she said a bit apologetically. Something is wrong with the baby.” She babbled. Monalisa rushed to the crib, looked down and reached out to the baby. “He is alright didi, sleeping as an angel.” Monalisa turned towards her. “Are you sure?” she asked incredulously. “Yes didi!” she smiled as she lifted the baby and carried him to her. “They sometimes look unconscious when they are sleeping, but actually they are just sleeping deeply.” She said in a reassuring tone. She cringed as Monalisa placed the baby on her bed and switched on the light. Of course it was absolutely normal! A week old infant bundled in a pink Johnson and Johnson’s baby blanket with Mickey Mouse printed all over it. She stared at him for a long time then reached out with apprehension to feel his pink skin, it was warm and soft. He gurgled sweetly baring its puckered mouth to display his gums. Days started to roll, the memory of that night was fading away, Monalisa never left her bedside after that night; that is, whenever she woke up she always found her on the small bed placed near the crib. “I will be back on 10th of next month.” His warm voice spilled down the chord of the telephone. Her husband was away from the country for last eight months, they both were heartbroken that he could not be there when Resham was born, but his promotion was announced right on the day doctor announced Resham’s upcoming entrance in their lives. That will be the day when Resham will become a month old. She smiled softly as she watched him playing, wriggling his tiny limbs, exploring his own pink toes and making cute sounds. She was sleeping deeply when she felt something was choking her. She gasped for breath and opened her eyes. The room was dark, the night lamp was either out or electricity was out. The light of full moon was swimming in the room, making visibility quite possible. That thing was sitting on her chest, something dark was oozing out of its mouth, then she felt a sharp pain in her neck, her hand automatically reached out to the spot and she felt something warm, wet. Her palm was smeared with her own blood. She pushed the thing from her chest rudely it slithered away in a lightning speed to a dark corner of the room.